This is a fairly short exercise that can be used for an in-class cooperative learning project or as homework. It includes LOTS of explanation and so is sort of a tutorial. The goal is to get students to understand how compositions can be ploted on a line (2 components) or a triangle (3 components). 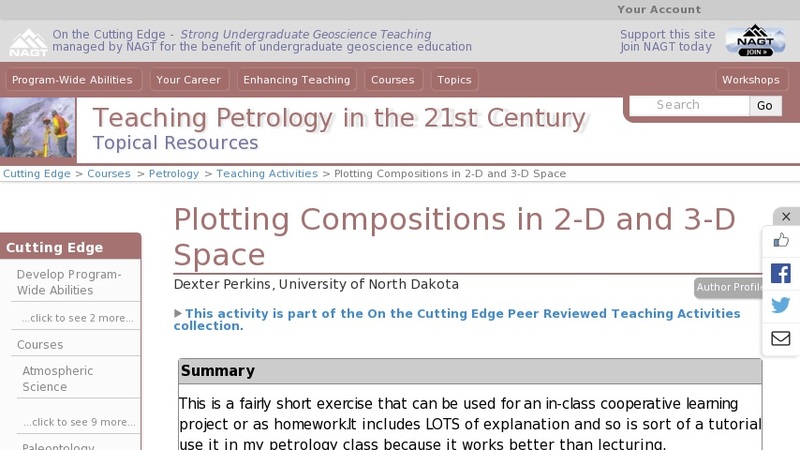 I use it in my petrology class because it works better than lecturing.